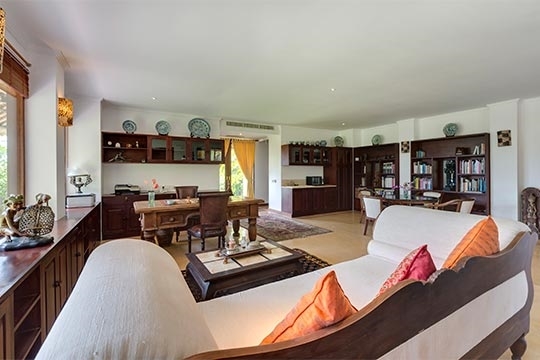 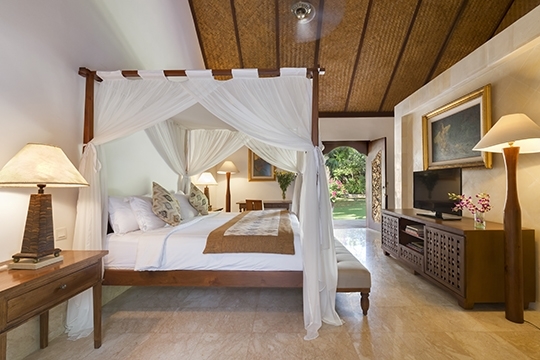 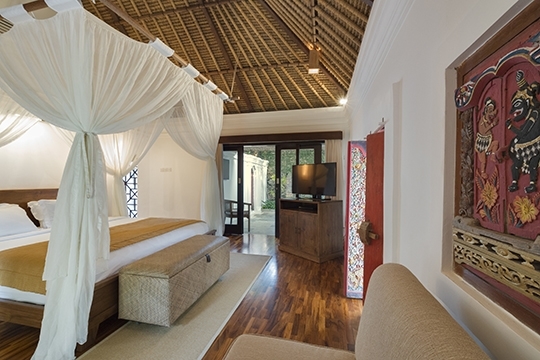 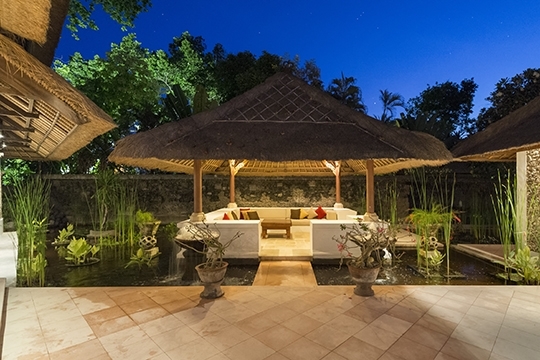 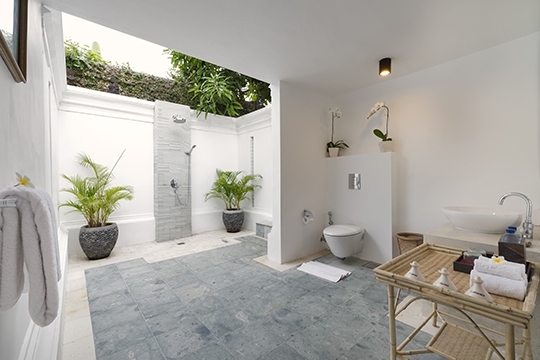 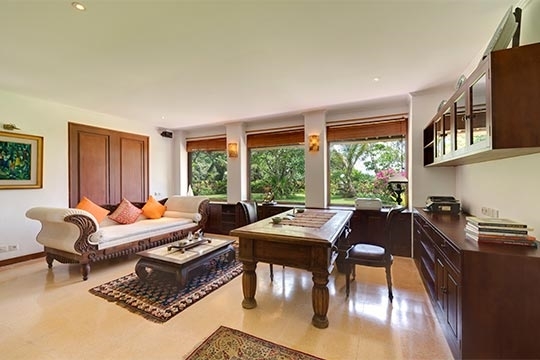 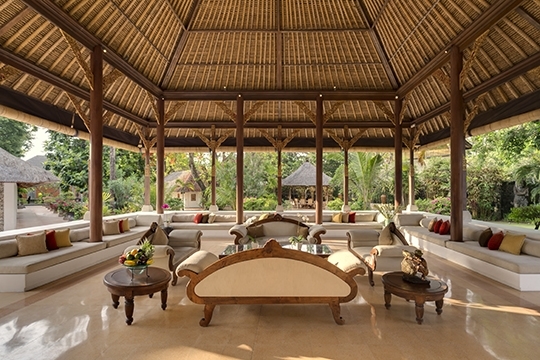 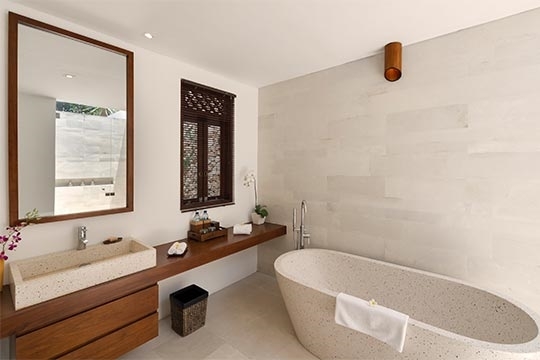 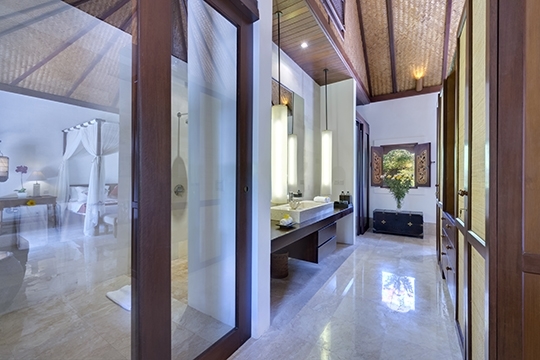 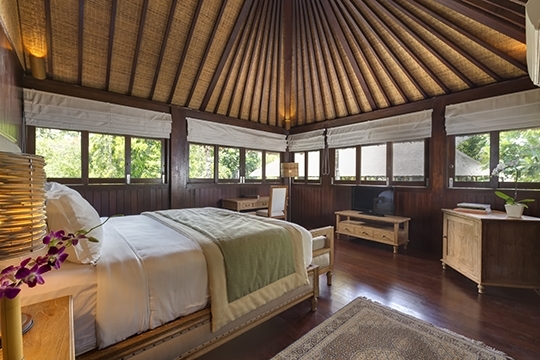 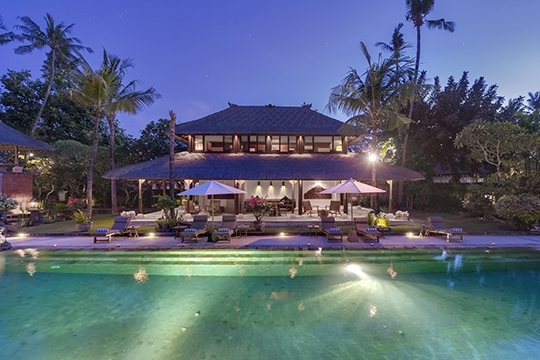 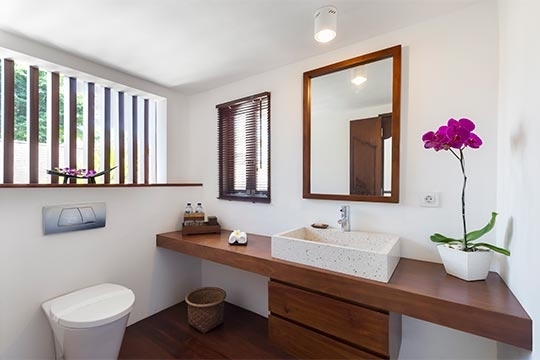 Villa Batujimbar - an elite haven | Pictures, Reviews, Availability | Bali Villas: Private and Luxury Vacation Rentals in Bali. 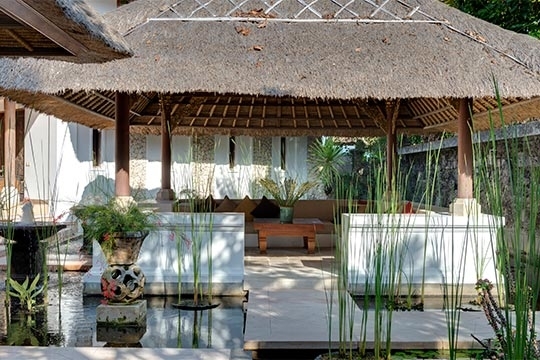 Batujimbar is one of Bali’s most outstanding private luxury villas – and a magical wedding venue. 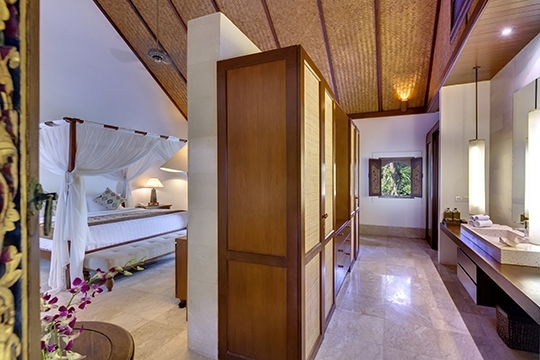 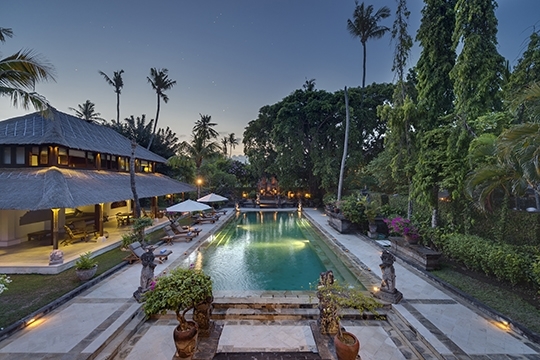 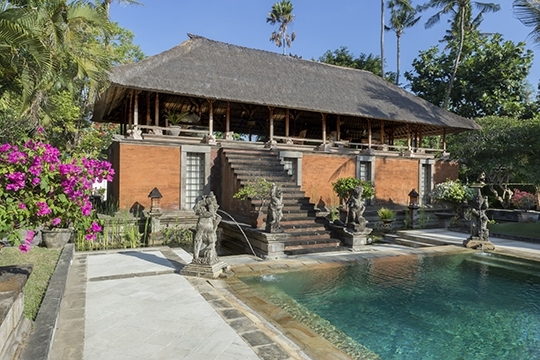 Originally the home of famed Australian artist Donald Friend, and epitomising ‘Bali style’ architecture, the villa boasts a colourful history and a celebrity guest list featuring monarchs and rock legends. 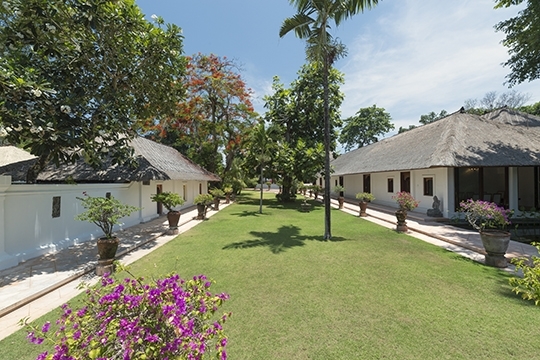 Traditional pavilions house nine bedrooms and multiple living and dining areas full of antiques, artefacts and heirloom paintings. 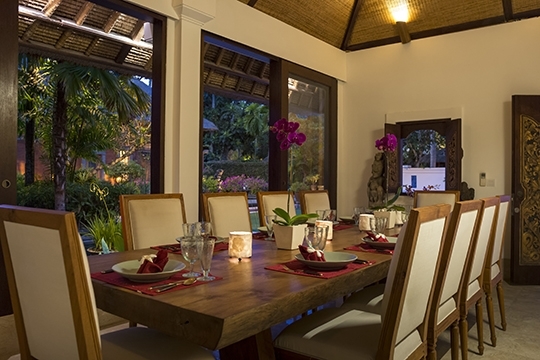 To look after you is a team of staff including villa manager and private chef. 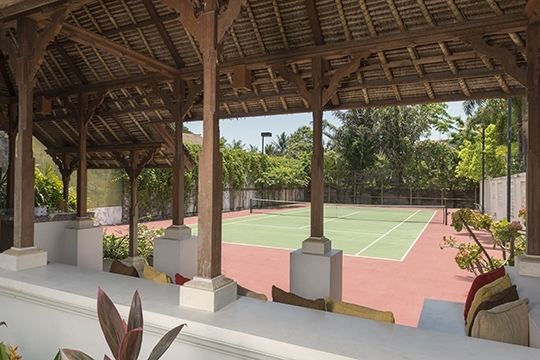 A 20-metre pool and tennis court rest within the meticulously designed one-hectare gardens, which have direct access onto Sanur Beach. 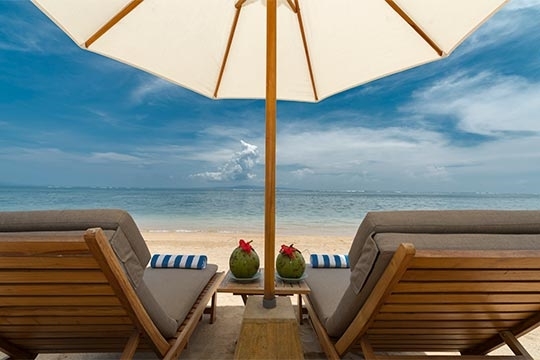 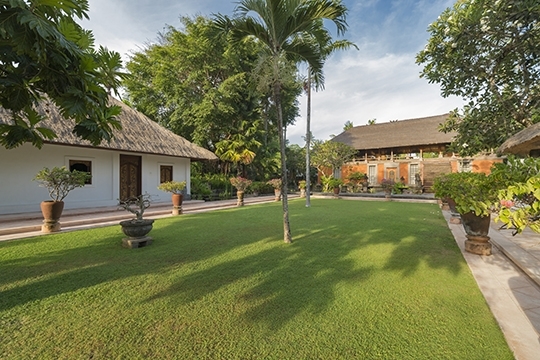 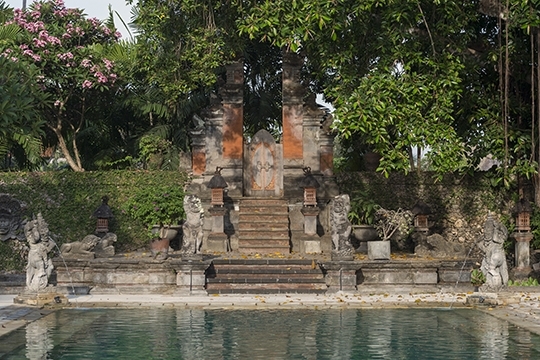 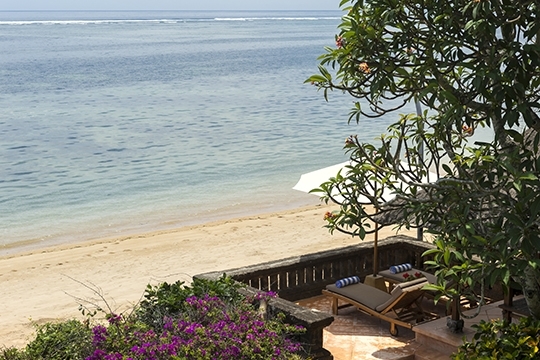 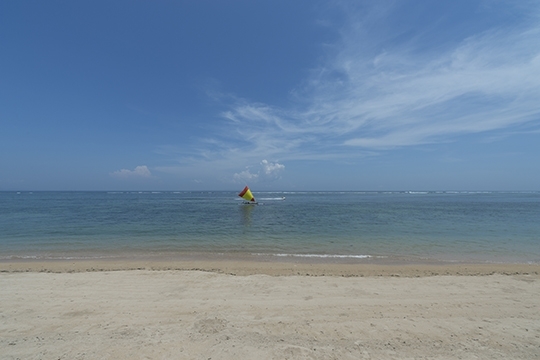 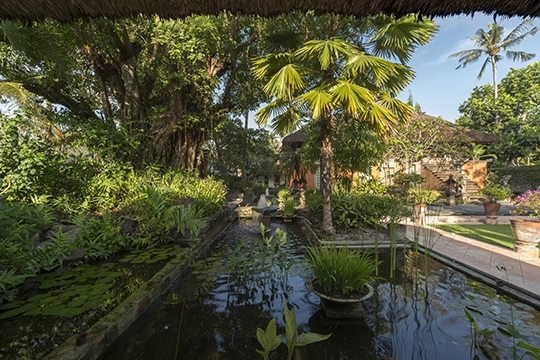 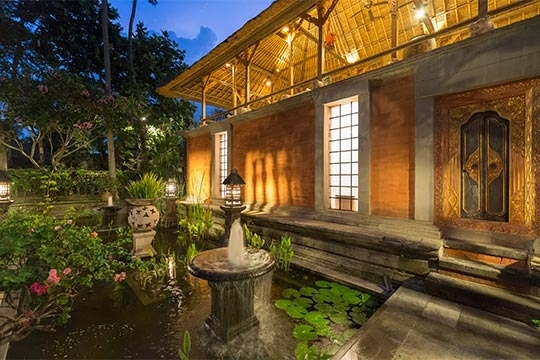 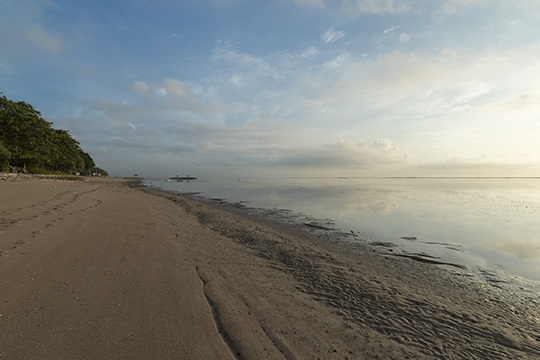 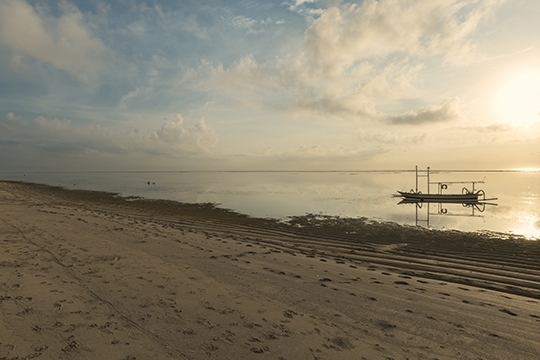 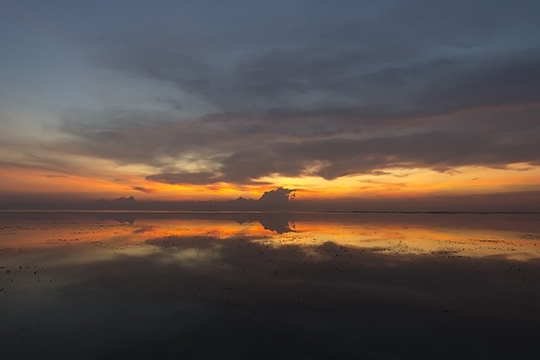 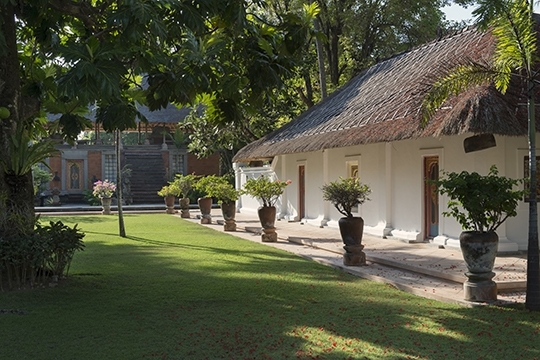 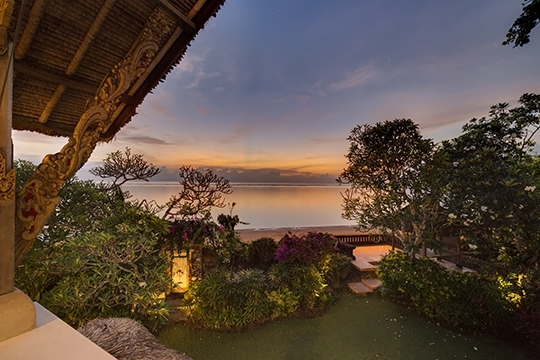 Batujimbar Estate, Sanur, South-east Bali, Indonesia. 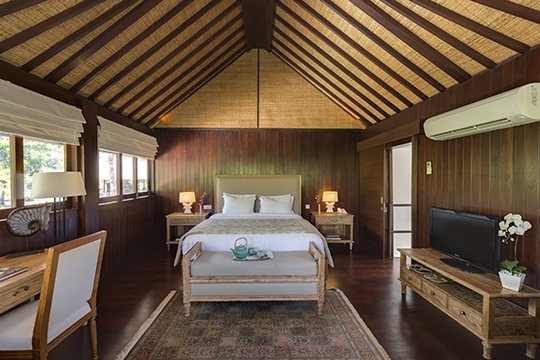 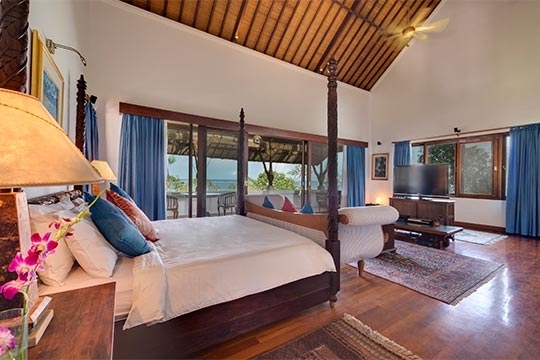 Open-sided living pavilion; Lembu Balé lounge; poolside veranda; garden dining bale with table for 10; beachfront balé; study and sitting room below master bedroom. 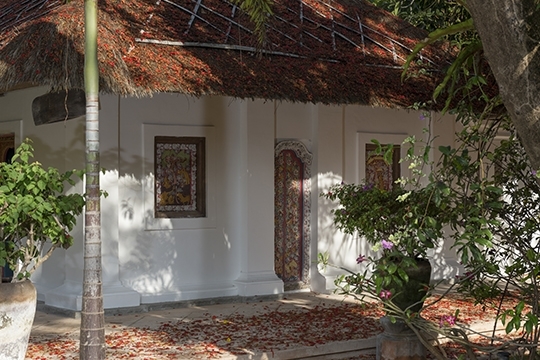 20m x 7m x 1.75m. 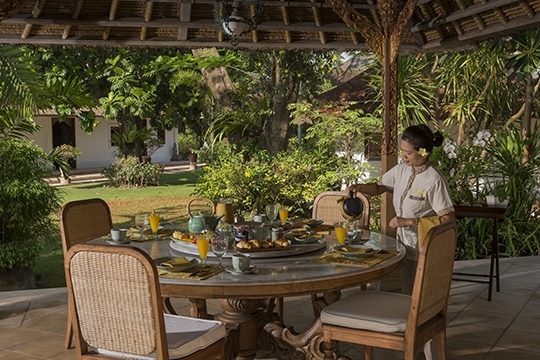 Villa manager; butlers; housekeepers; cook; gardeners; engineer; security. 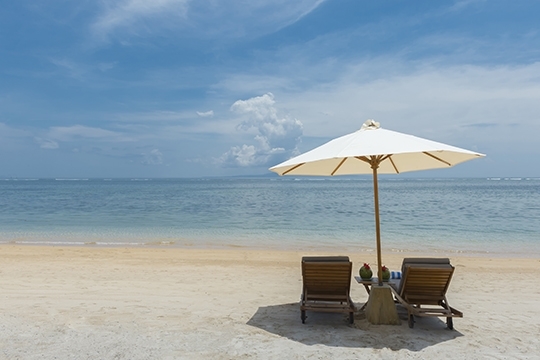 Masseuses and babysitters available on request (extra charge).